BeautyMedical is a leading company in the field of aesthetic micropigmentation, paramedical micropigmentation and Tricopigmentation. Thanks to the experience gained in ten years of activity as a tricopigmentist and as a teacher at several aesthetic specialized schools in Italy, Beauty Medical’s Technical Director Milena Lardì performs with excellence all treatments in the field of micropigmentation. We are sure to guarantee you the best result on the market. Thanks to our experience of more than 20 years in the field of micropigmentation and more than 10 years in the field of tricopigmentation we can be sure to guarantee you the maximum result possible. You can check on Bellicapelli forum all the feedbacks that our clients have given to us. On 17th November 2013 the S.i.Tri (ITALIAN SOCIETY OF TRICHOLOGY), officially recognized and prized the Beauty Medical Tricopigmentation system as a valid technique which is seen as complementary to surgery and as an effective solution to the traditional and most innovative pharmacological therapies. 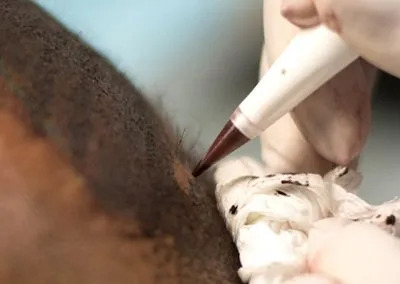 Unlike general scalp micro-pigmentation, Tricopigmentation can achieve high quality standards and record higher success rates thanks to a patented system, which was specifically designed to treat the scalp tissue. The Skin Care Tricopigmentation machine and the Tricograph represent the company’s strengths. The equipment is a result of extensive scientific tests on pigment stability and resorbability, specifically requested by Beauty Medical Technical Director Milena Lardì and that paved the way to a valid project. A specific needle dimension and porosity, a defined pace of the handpiece, a tested engine, aftercare products specifically studied for the scalp, and organic, bio compatile and bio absorbable pigments – all this makes the Beauty Medical system a winning and complete formula to solve hair loss. The result is a system, which is able to recreate an optical camouflage effect, otherwise unreachable. 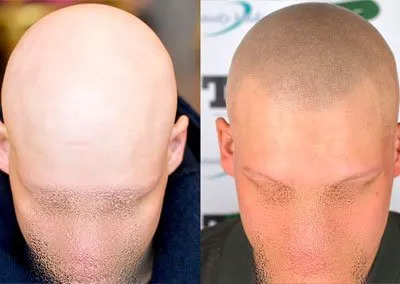 A guaranteed system allows Beauty Medical and its Tricopigmentation technique to be wordwide recognized by the best hair restoration surgeons.